Note: this will require a local WIFI network connection or a hardwired ethernet connection. Use the Jog Dial to select System Settings from the Main Menu. Choose Wizard to automatically search and connect to your local network or choose Manual Settings to manually configure your network. You will be prompted to enter a password if required by your network. Once connected the display will revert back to the main screen. Note: Spotify will require a premium account in order to connect to a network device. Connect your device to the same network as the DN-350UI. Open Spotify on your phone, tablet, or PC and start playing any song. 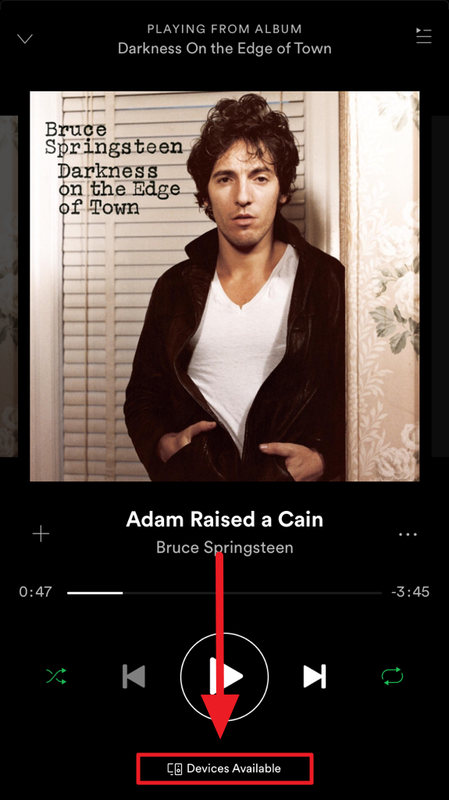 If using a phone, tap the currently playing song to view album image and playback controls. Press the Devices Available button at the bottom. Choose the DN-350UI from the list and your music will be sent it once a connection is secured. 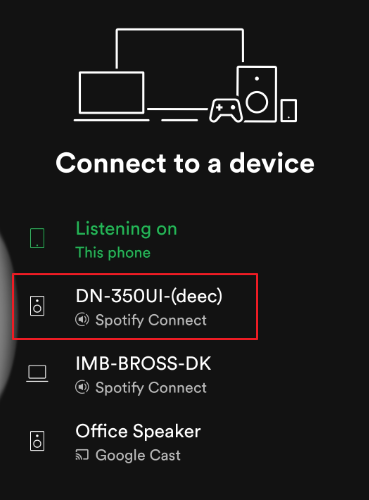 Once you are connected, press the Home button on the DN-350UI and choose Spotify from the menu to view the currently playing track from the DN-350UI display.